The competition will start on 01/07/2016 at 5pm AEST and finish on 31/07/2016 at 5pm AEST. The competition will be drawn at PO Box 555 Broadway NSW 2007 on the 05/08/2016 at 5pm AEST and winner(s) will be notified within 5 business days of the draw via email. If a winner does not wish to accept the prize they will need to inform us immediately and we will re-draw the prize. 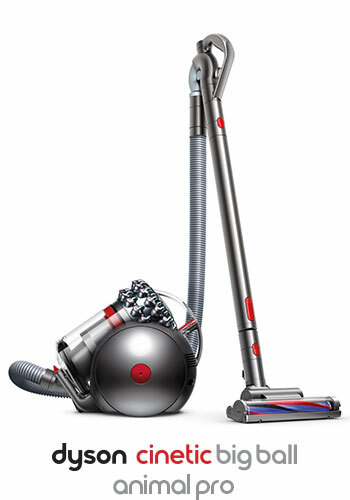 Winner(s) will receive a Dyson Cinetic Big Ball Animal Pro Vacuum Cleaner. Total retail prize value is AUD$999.00. In the event that the prize is unclaimed after a period of 3 months a new draw will take place on 05/11/2016 at 5pm AEST. Congratulations to Evelyn, Tom.W, Sue.Wanda, Angie, and Bronwyn for each winning a brand new Dyson Cinetic Big Ball Animal Pro Vacuum Cleaner!